Press release from Little Bugs Childcare, York. 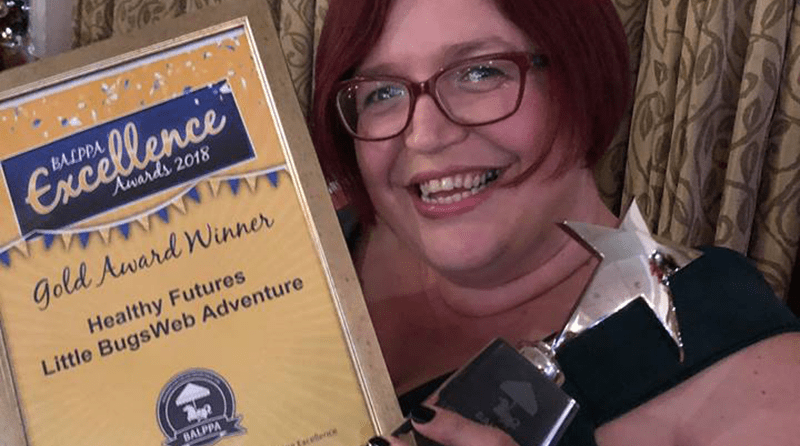 Little Bugs Childcare, a day nursery in York for 0 to 5 years, are celebrating after collecting the prestigious national BALPPA Early Years Healthy Futures Nursery Award 2018. The Excellence Award recognises the role nurseries play in creating pathways to a healthy lifestyle for children through healthy eating, physical indoor and outdoor activity and reinforcing healthy messages. It also recognises nurseries who embrace the importance of supporting not only their children but their families to embrace a healthier life. Judges considered a range of different criteria including evidence of industry standards and best practice, improved outcomes for children at Little Bugs Childcare and testimonials from parents who have benefitted from the nursery’s approach to promoting healthy lifestyles. Little Bugs Childcare is a Forest School with active indoor areas and its own outdoor facilities which include a dipping pond and orchard. In addition, the nursery enjoys exclusive use of the Web Adventure Park facilities first thing in the morning, with access to play frames, rides and other activities during the day. A Little Bugs chef produces a healthy, seasonal menu for the children and helps encourage healthy eating and healthy choices.